Google Chrome is hands-down the best browser to use when accessing the Internet. If you haven’t tried Chrome yet, you’re really missing out! Use Chrome apps and extension to make your web experience easier and more efficient. 1. Download Google Chrome by clicking on this link. 2. Sign in with your Google credentials. 3. If you wish, import your bookmarks. 4. Learn how to create bookmarks in Chrome. 5. Those three horizontal bars in the upper, right-hand corner of your browser is your friend. Click on it to see your choices. 1. Customize it with your apps, extensions, and themes. 2. Access YOUR Chrome from anyone's computer. 3. To learn how you can personalize it, click here. 1. History - Take it with you - on all your devices. 2. Settings - Make it yours. How? Click here. 3. Themes, Apps, and Extensions - What are they? For an explanation, click here to visit the Chrome Help page. Below is a screenshot of web apps from my Chrome browser. To find the presentation remote app called Demobo, click here to visit the Chrome Store. 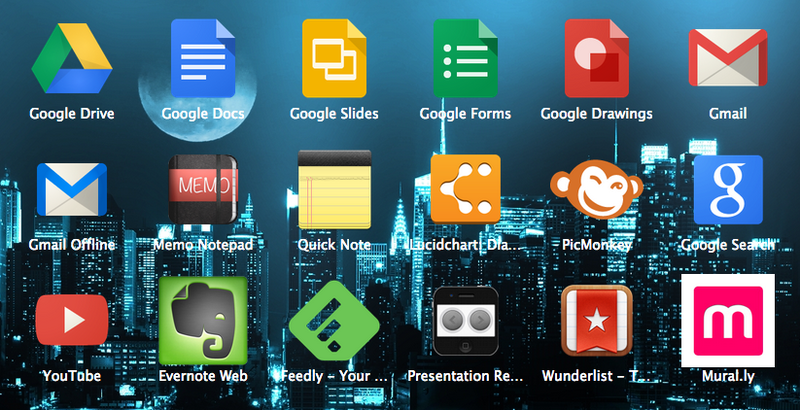 Awesome Chrome Extensions - Find these in the Chrome Store. To learn more about how to use Evernote, click here to read my blog post on it. Apps for Your Classroom - Google in Education offers bulk discounts when purchasing 20 or more apps for the classroom. Chrome Store - Shop around. Frequently Asked Questions - Click here to read about them.